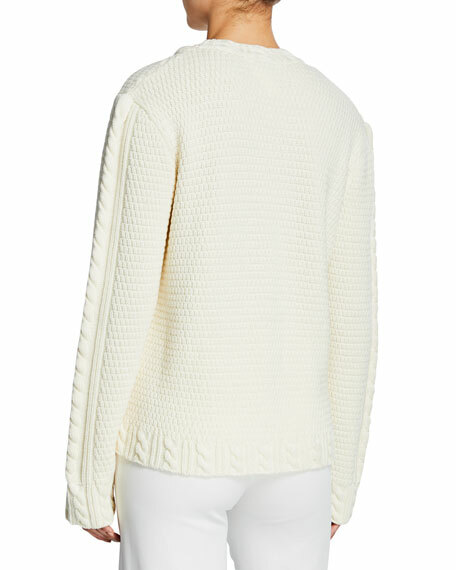 JW Anderson textured sweater with cable-knit design. 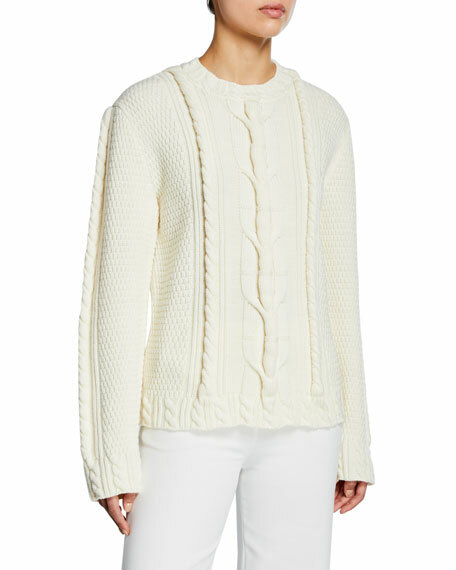 ATM Anthony Thomas Melillo cable-knit sweater. Ribbed neck, cuffs, and hem. Crew neckline. Long sleeves. Relaxed fit. Pullover style. Cotton/nylon/acrylic/wool/spandex. Dry clean. Imported. 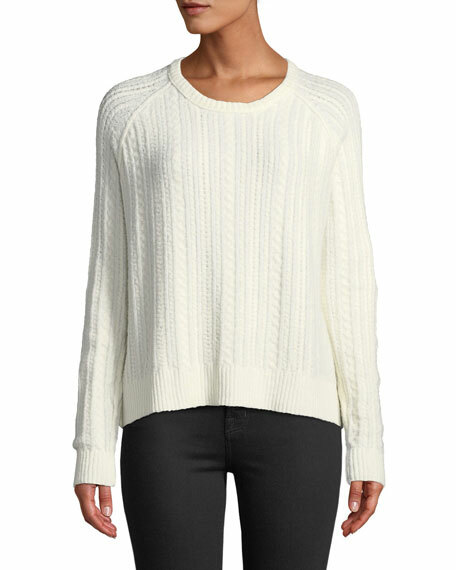 CALVIN KLEIN intarsia knit sweater. 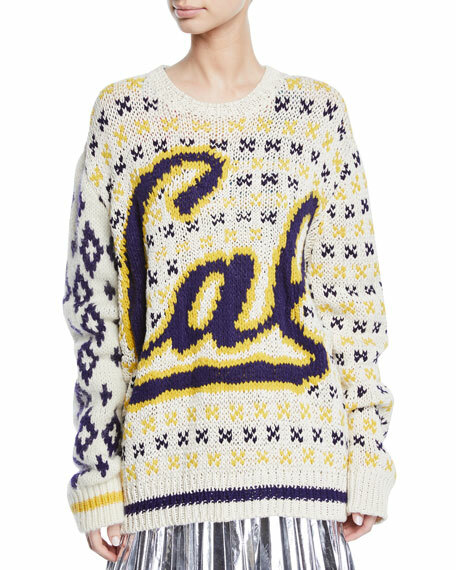 University of California Berkley "Cal" logo on front. Crew neckline. Long sleeves. Oversized fit. Hem hits hips. Pullover style. Wool/cotton/acrylic/wool/nylon. Made in Italy. 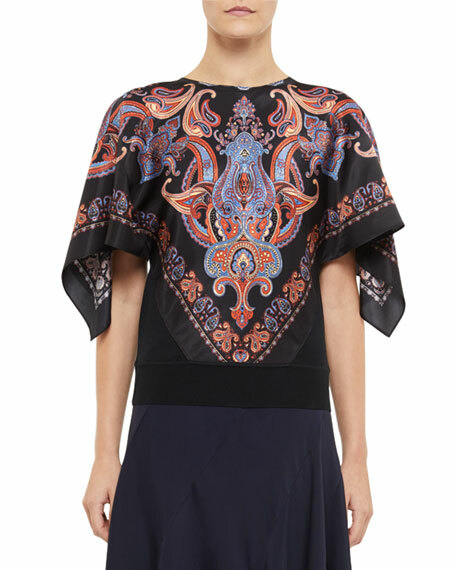 Chloe top in tapestry paisley print. Crew neckline. Three-quarter cape sleeves. Semi-fitted. Pullover style. 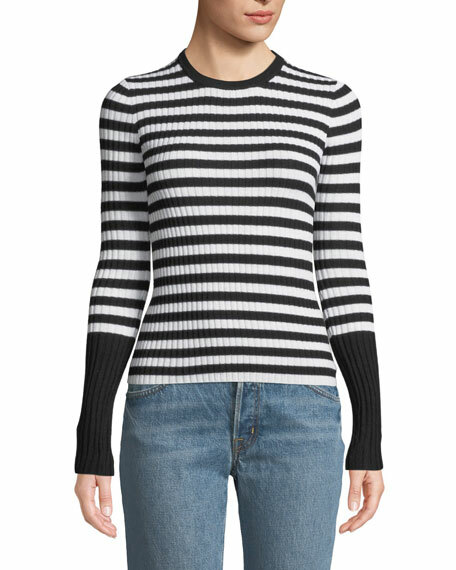 Banded hem. Silk/cotton. Trim, viscose. Imported.